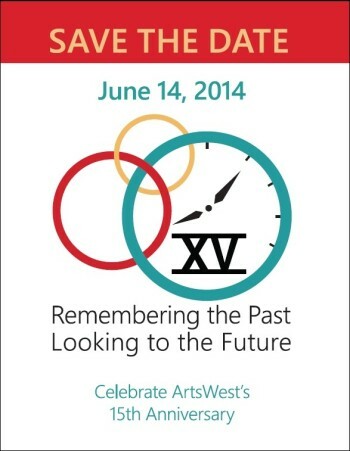 ArtsWest’s 15th Anniversary Gala & Auction, XV:Remembering the Past, Looking to the Future, has been announced for Saturday, June 14th. Details to follow, so save the date! This entry was posted on Wednesday, January 29th, 2014 at 4:08 pm	and is filed under General.